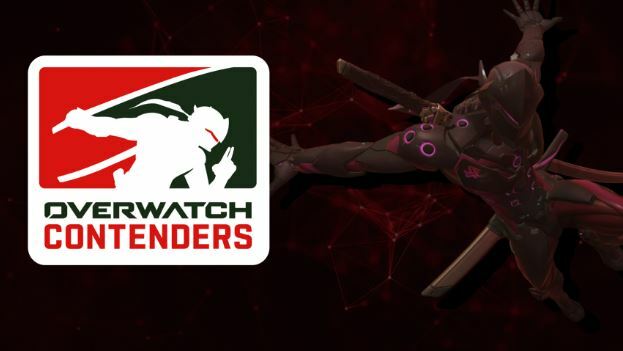 Week 4 of Contenders China was an absolute must watch. For any fans on the fence of picking another Contenders region to cover, this week should have been your golden ticket to the insanity factory that is Chinese Overwatch -- in a good way. However, now that the season is winding down, I wanted to return to my previous format to flesh out some of the narratives and talking points around a few teams than skimp and try to write something for everyone. So instead of power rankings, let’s do a small recap of some of the more interesting points that happened this week. Week two housed some of the first dominant matches were China was developing on their metagame. Tanks were running wild during the LanStory Cup qualifiers, but there will always be teams trying to iterate on what is most commonly run. In North America and Europe, tanks have cemented themselves as the leading compositional choices. However, we still see teams trying to throw in curveballs ever so often. Some teams that jump out to mind are Winstrike Team’s Mei in Europe and Gladiators Legion’s Winston off tank pick in North America. Now in China, we do things a little more differently. Whether it be 4 DPS heroes or just your average counter-composition, Pharah has been a predominant pick for teams not willing to conform to their tank overlords. Teams like Flag Gaming, T1W Esports, and LinGan e-Sports have all ran the hero to a very successful degree and word on the street is this is catching on. This is a pick that we are going to have to keep a close eye on when it comes to playoffs because this is where things can change. To be fair, there is a patch looming on the horizon and we’re not too sure when and if the patch will weasel it’s way into the tournament realm -- for China specifically. Big Time Regal Gaming left their match against Flag Gaming with both scuffed elbows and egos. On numerous maps, including Numbani and Hanamura, BTRG looked absent-minded when trying to hold their ground. To their credit, they play a very intricate style of Overwatch, focused more around taking positional advantages whenever possible at the cost of ease of use. Most of these strategies are focused around their star DPS player Effort who again looked absent in a majority of their games. Week 4 was the not the same BTRG that I saw play against Lucky Future in Week 3, not by a long shot. Now, we cannot pin all of this on Effort’s lack of presence in their match, if I’m going, to be honest, I’d wager that it’s a lot of forces acting all at once and the delta in damage stands out more than others. One other strange misplay came from their first-round Hanamura A Attack where Effort and RIVEN had some uncharacteristically slow rotations towards the point. This raised some eyebrows because of how simple the point has been to capture. Another individual we can talk about not having a good performance was their flex support player, Gudan, who looked alone in their first two maps. Multiple team fights, BTRG’s Zenyatta ace would be the first to fall and I don’t think I need to explain why first kills, especially on supports, are not a good measure of success for a team. Now, we do have some solace coming for BTRG in Week 5, they have to play the lackluster LGD Gaming. As their final match of the regular season, it is important to score a moral victory, but in the grand scheme of things, this match will only affect the seeding going into playoffs seeing how both teams participating have their tickets booked. Unarguably there have been two giants this season that lie in the same group but have yet to face one another. Now, during the final week and as the last match of group play, we’ve got T1w Esports facing off against the Shanghai Dragon’s academy team, Team CC. This is exciting for a myriad of reasons. There has been a idealistic war between these two teams that other teams have only adopted for brief moments. For instance, T1w has never been a team to conform to a strick metagame. Look at their final match from Season 2 on Route 66, they ran a single tank Zarya composition choosing to put their main tank player, Silver3, on Doomfist. This gambit one them a crucial map against LinGan e-Sports during their group stage finale. This season has not been much different. Where T1w continue to be the creative counter-strategies, Team CC are strict conformists. Easily the best team at piloting the heavy tank favored GOATs composition, Team CC has been a force to be reckoned with in and outside of Contenders. In the past month and a half, Team CC has been on an astounding eight-match winstreak. This fact is accented by their map record; spanning across their LanStory Cup qualification and their Contenders matches, Team CC is 27-3 in maps! However you want to paint their metrics, they are very promising leading into the playoffs. And this has all been done by conforming to the metagame. With Team CC’s loss at the hands of Flag Gaming during the semifinals for LanStory Cup Hangzhou, this now casts a shroud of doubt over the dominant tank team. Their rotation through their DPS lineup makes their strategic choices very rigid, which leaves me concerned. Very seldom do you see Team CC run anything but a very standard tank composition, compares this to T1w’s rare use of the composition, and you’ve set yourself up for a group stage finale that will undoubtedly give us a preview of what's to come in the playoffs.